Salaries stopped being on credit reports in the early 1990s. They had been up to then but it was decided that there were too many variables involved for them to be accurate. Other reasons are that income really isn't a measure of credit worthiness, it is just a measure of capacity. A credit report and your credit scores are meant to tell a creditor whether or not you are going to make a payment, not whether you can make a payment. Unemployment benefits, alimony, child support and public assistance does not appear on credit reports. Your job information is not shown on your credit report. If you lose your job, no one will know. Employment information, though, could be there and will vary slightly depending on which of the three credit bureau reports a lender pulls. Names of your employer or past employers could be on the report if you applied for credit and listed them on any of the applications you might have filled out. Most agencies wont list your job title or dates of employment. Employment information reported varies with the three agencies. Contrary to popular belief, when someone runs a credit report on you, that is all he or she will see. If you are a co signer on certain accounts, the other names or relationship to you will not be shown. One thing you might notice no matter where you live: When you pull your own credit report, some versions will include your spouse's name, says Ulzheimer. But the reports lenders and others view won't have that. Credit bureaus don't include criminal conduct on credit reports. Three exceptions: First, if you have a financial situation that also involves the court system, such as a judgment or lien, it will show up on your credit report. Second, child support payments can also show up as a regular debt on your credit report. If you receive a fine or ticket, don't pay it and it goes to collection, then that collection activity could show up on your report. But it would appear as a debtor trying to collect an overdue debt. There wouldn't be any details on the initial infraction. The Fair Credit Reporting Act prohibits listing information on your report that jeopardizes your medical privacy. Often, this means medical debt doesn't appear unless it goes to collections. One possible exception: Pay with a credit card or through a third-party lender and the balance could show as a regular debt, minus any medical information. Pawned some valuables? Taken out a payday loan? Signed for a car title loan? Those transactions don't show up on your credit report. But if you default and the lender enlists a collection agency to come after you for the balance, that action likely will go on your report. Usually utility payments for gas, lights, telephone, etc., wont show up on your credit report, however some do report late pays. If a bill is not paid and goes to collection, then that may end up on your report. 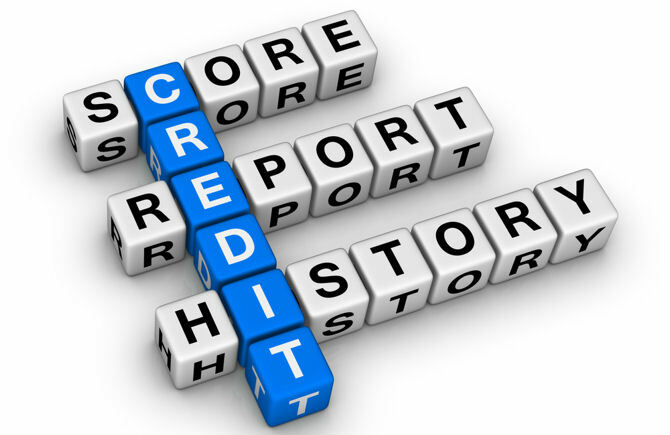 A credit report is basically a list of all your current and recent past debts and obligations. That is all. There's nothing on a credit report that talks about how much money you have in the bank, the money you have in a brokerage account, your stock options or any other assets you might have. Also not on the report: the worth of your home or home equity. The only related item that you could see: your mortgage, plus any loans or liens you have on the property. *Late payments to small vendors. *Anything your creditor agrees not to report. *Not carrying a balance on a credit card account.